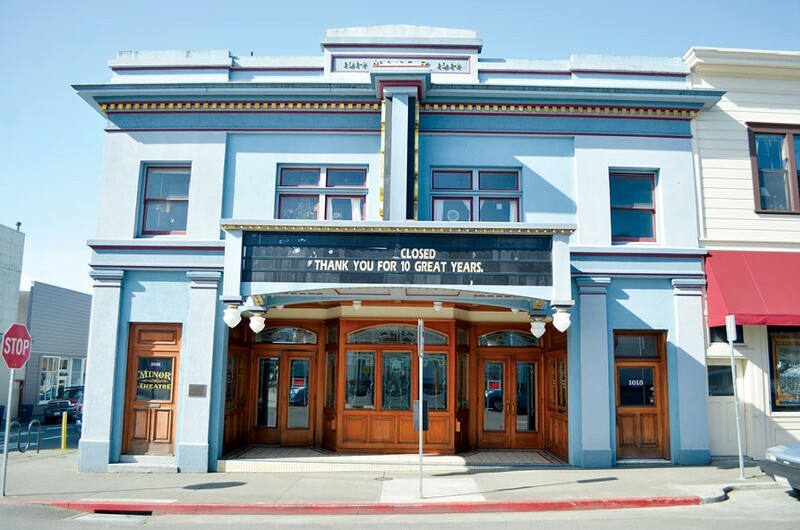 The Minor Theatre, Arcata's iconic and beloved movie house, is cleaned up, back under local ownership and ready for its close-up. A decade ago, under corporate rule, the Minor shifted to playing the same blockbusters and mainstream films as everywhere else, and a piece of many an arthouse-film-loving Humboldtian died. The Minor had always been the alternative to the popular crowd — the quiet, creative kid. When its lightbulb-lined marquee announced titles like Mission Impossible III and You, Me and Dupree, those of us who'd fed our indie appetites there for years blinked in disbelief and shuffled off to the local video store. Resurrected with blood, sweat and new owners Joshua Neff and Merrick McKinlay's "love of local," the Minor Theatre will once again fill the Arcata air with the salty scent of popcorn — this time with swanky seats, local goodies and adult beverages, plus snappy new sound, screen and projection systems. Put on your best black-tie attire for its Grand Reopening and Short Film Festival, Sept. 16-18 ($10). Opening night starts at 6:45 p.m. on Friday, Sept. 16, featuring an evening of locally produced short films, a live film scoring of a classic Buster Keaton chase sequence and a recreation of the original opening night photo taken in 1914 (hence the black tie). Also, Neff and McKinlay promise a special "secret cinema screening" at the end of the evening. Intrigue! Because smaller is better and everyone who's anyone will be there, seating will be limited. Tickets are online at www.minortheatre.com.